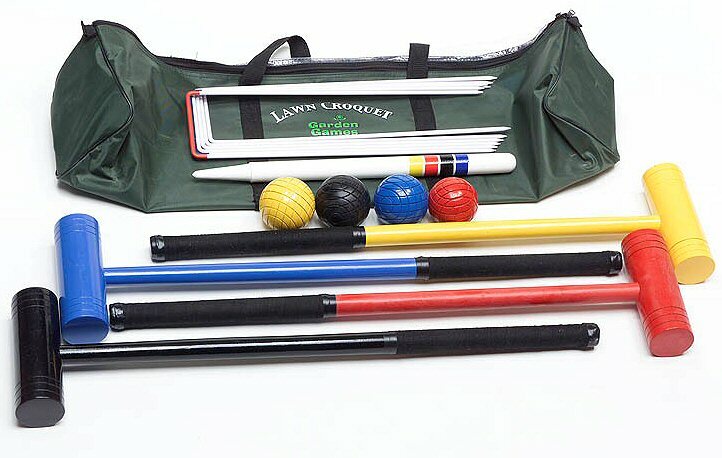 A fun introductory croquet set for under £50, with 4 brightly-coloured wooden mallets and balls, sized perfectly for children. Includes 6 metal hoops, a wooden winning post and rules. PAcked in a zip fastening bag. 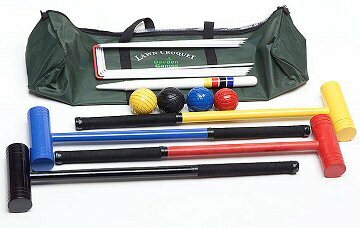 A fun introductory croquet set sized perfectly for children.